She is 28 meters long with a very convenient layout; there are two double, and four triple cabins. She has four crew, air conditioning and a very light, airy saloon. 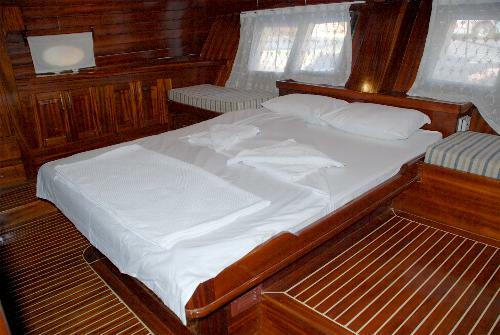 Out fitted throughout in local light pine, she has a contemporary feel about her, and the white furnishing throughout complement her woodwork. Kaya Güneri II charters for 1150 to 1750 Euro per day for up to 12 guests. 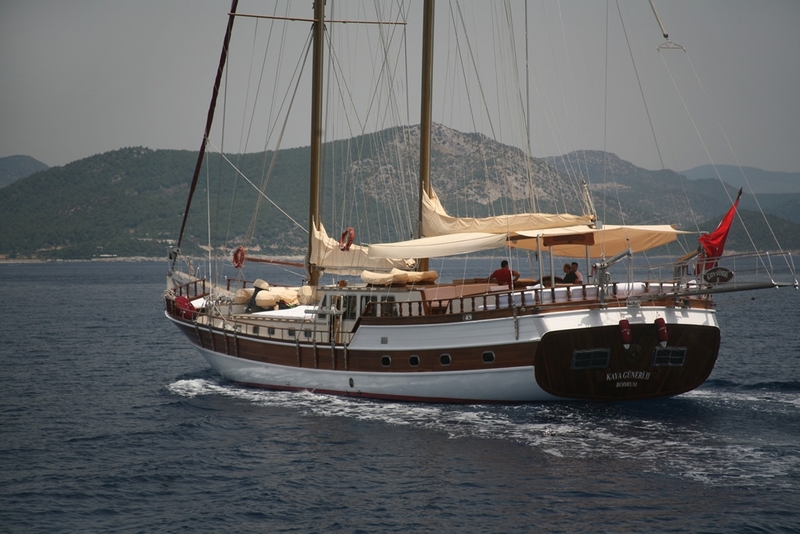 Send me more information on Kaya Guneri II. 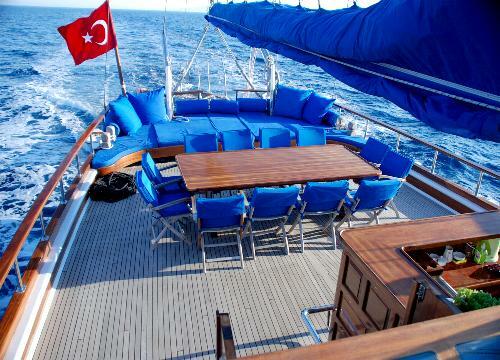 Named for the heroic flagship during the Battle of Cesme during the Ottoman Empire, Burc-u Zafer is a 2001 launch in immaculate condition. 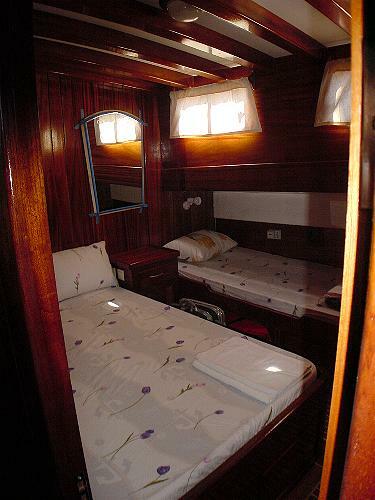 With her high head room and roomy cabins, she is excellent for groups whose members are tall and/or large. Ali Captain has been at the helm since launch, and is a quiet, approachable gentleman. Burc-u Zafer has two aft double cabins, two twin, and two cabins which can be confiigured either as doubles or twins as preferred. 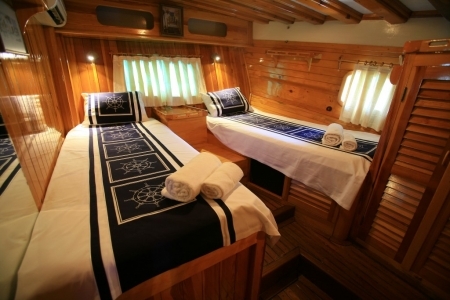 Each cabin has its own home-style bathroom, and individual air conditioning controls. 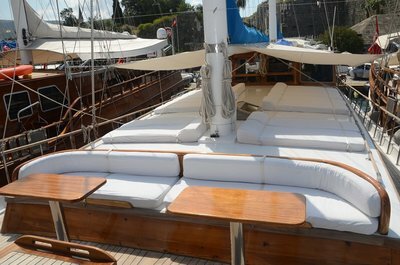 With twin engines and twin generators, this gulet is also especially suited for covering long distances with complete ease and comfort. 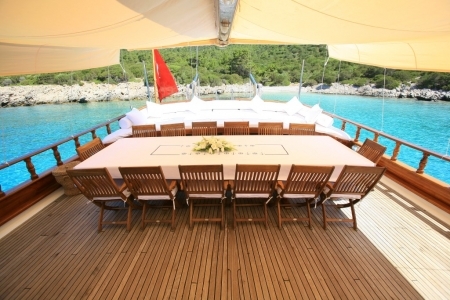 Burc-u Zafer charters for 1800-2400 Euro per day for up to 12 guests. 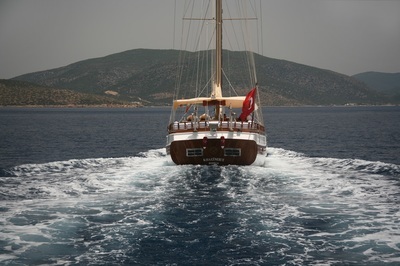 Send me more information on Burc-u Zafer. A very charming, mid-range, comfortable gulet, Feraye has a very flexible layout with two double, two twin and two triple cabins. 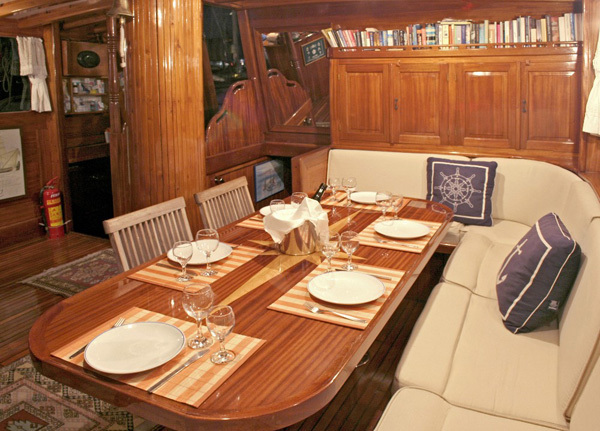 At 24 meters in length, she has an extremely roomy aft deck and an airy, spacious saloon. 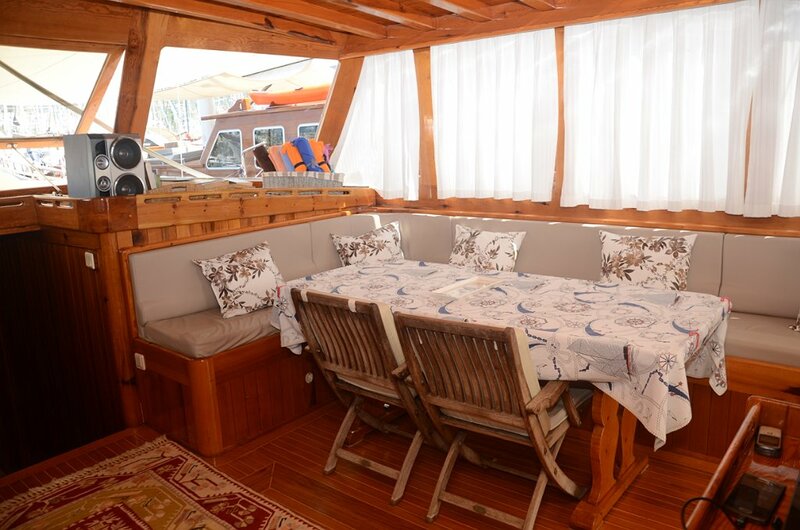 Captain Uzeyir is also a trained chef, and the food and service on Feraye are always impeccable. Each cabin has individual air conditioning controls, and home style showers and toilets. 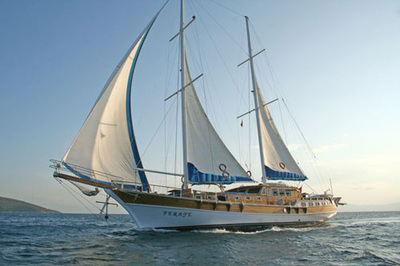 Feraye is a favorite with families due to her attentive crew and sense of fun for all. She is extremely well priced and provides great value for money. 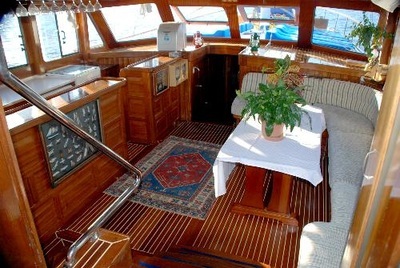 Feraye charters between 1000 and 1500 Euro per day for up to 12 guests. Send me more information on Feraye. A very popular, much loved charter gulet, Cemre Junior is an excellent family gulet due to her flexible layout. 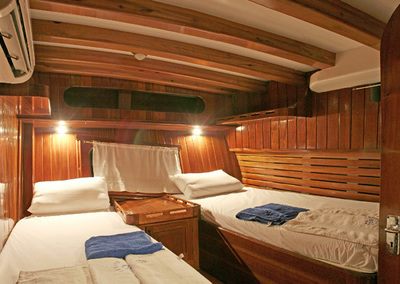 There are two master cabins and four triples, making her perfect for two families with children cruising together. Each cabin has its own ensuite facilities and air conditioning controls, and she's well equipped with toys, games and activities for children. 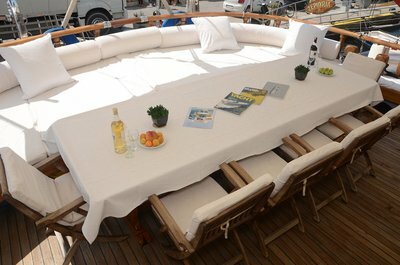 Her aft deck is spacious for everyone to mingle, snack and watch the world sail by. 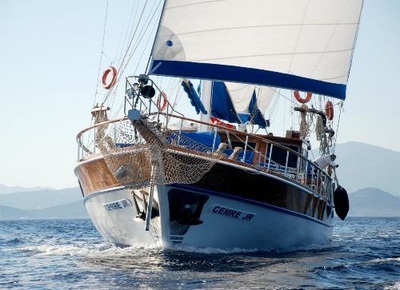 Cemre Junior can take up to 14 guests in Turkish waters, and 12 in Greek waters. 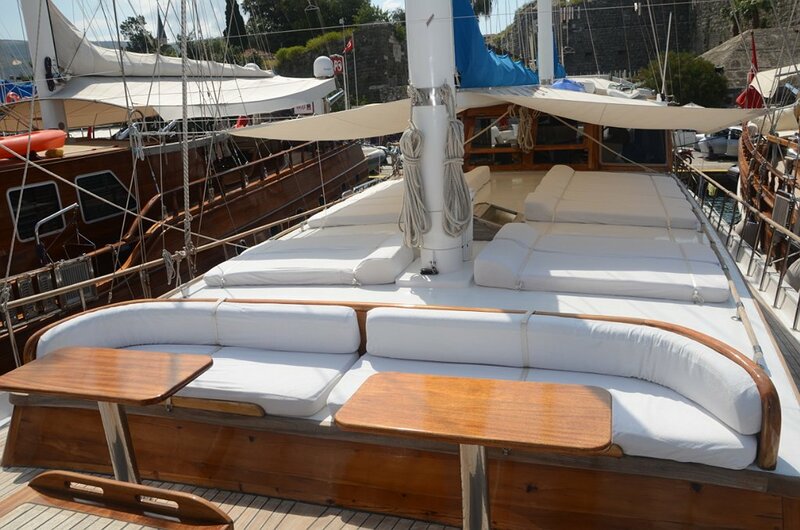 She charters for 1100 to 1875 Euro per day. 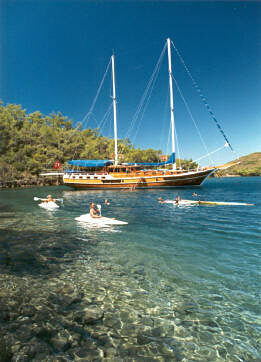 An excellent family-run gulet, Uluçınar is fantastic value for money for groups of up to 12 persons. She has four twin and two double cabins, each with ensuite facilities and air conditioning designed to run for up to 6 hours per day. 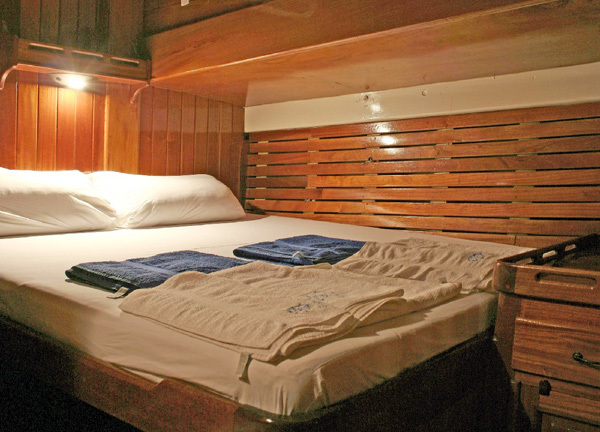 Her accommodating crew include the dynamic son who accompanies all cruises and serves as a wealth of information. 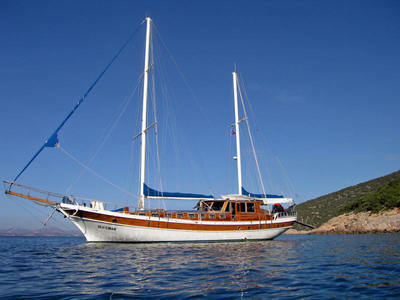 ​This gulet charters for between 900 and 1500 Euro per day and can sail in Turkish and Greek waters.